A few interesting facts about the corrupt IMF bosses! 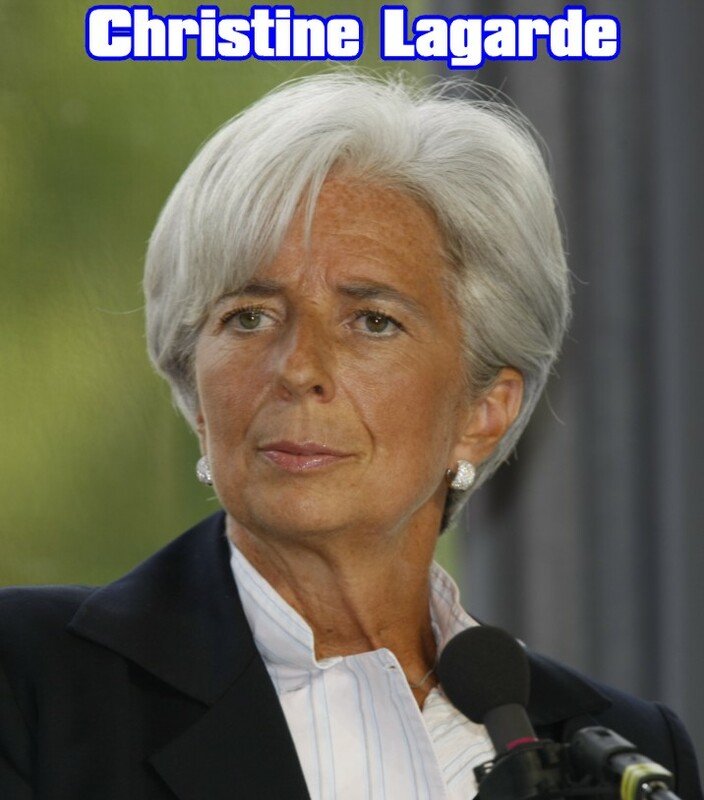 IMF chief Christine Lagarde, one of the world’s most powerful women, announced Wednesday she had been charged with “negligence” over a multi-million-euro graft case relating to her time as French finance minister. The announcement came a day after she was grilled for more than 15 hours by a special court in Paris that probes ministerial misconduct, the fourth time she has been questioned in a case that has long weighed upon her position as managing director of the International Monetary Fund. Lagarde takes home £298,675-a-year untaxed, receives further tax-free allowance package of £52,000 plus expenses’ that are never revealed to the public. Spain`s ruling Popular Party said Monday it had expelled ex-IMF head Rodrigo Rato and all other party members under investigation for allegedly misusing credit cards for personal spending while working at a bailed-out finance group. 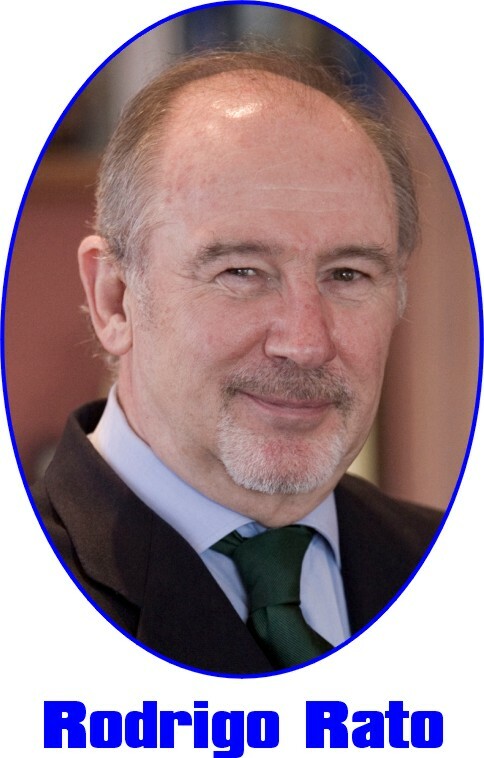 Mr. Rato had his salary cut from €2.3 million to €600,000 annually in 2011 due to new laws for rescued banks, his expenses were not declared. 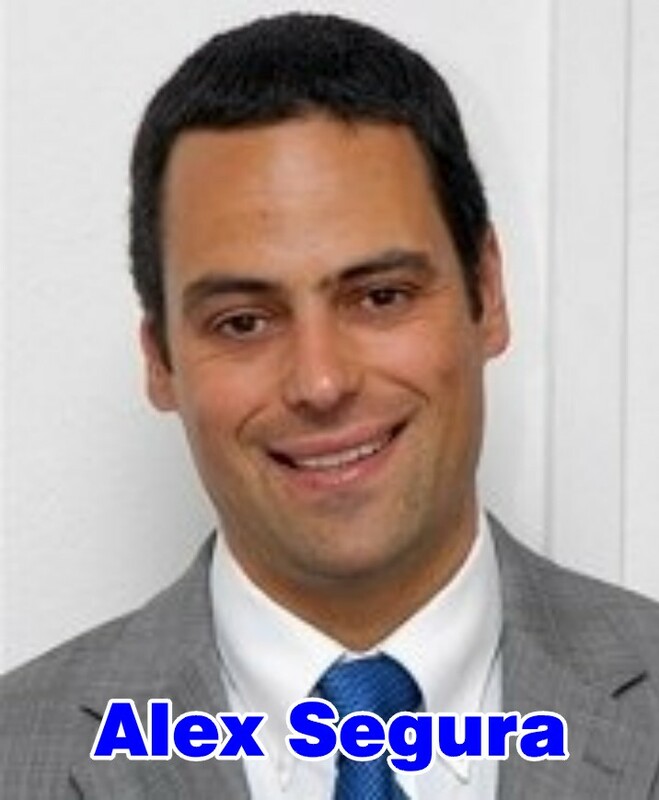 Alex Segura was given almost $200,000 (£122,000) at the end of his three-year posting – money which the IMF says was paid back as quickly as it could be. Prime Minister Souleymane Ndene Ndiaye said it was a goodbye present – part of an African tradition. Opposition activists have condemned what they regard as a corrupt payment. The fund said in a statement Mr Segura was given the present after a dinner with President Abdoulaye Wade, but did not realise the gift was money until he was about to leave the country for Barcelona. “With Mr Segura worried about missing his flight, and concerned that there was no place to leave the money safely in Senegal, he decided to take the money aboard the plane,” Reuters quoted the IMF as lying… er… saying. 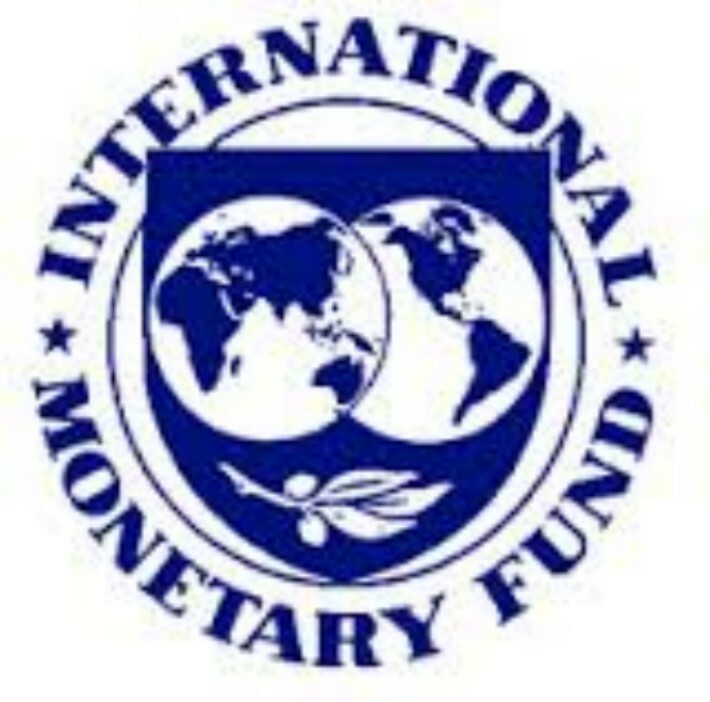 IMF, The Guild of International Bankers, and the Offshore Investments Fund representatives have arrived secretly in the UK, to discuss their getting possible loans, in a bid to stave off further World financial crises. It seems that the executives of those organisations have noticed that no matter how bad things get in the UK, our MPs never seem to suffer financially like the proletariat do, and individually amass more wealth than some small countries. This, they find amazing, and how the impecunious riff-raff of the Nation do not rise up in revolt amazes them. We understand they will be holding a 10 minute visit with David Cameron and Nicolas Clegg at number ten. They will then be moving on to ‘personal contact’ who used to be in charge of Government Ministers Personal Offshore Investments , to see if they can arrange for him to loan them sufficient funds of £49Billion to tide them over. They liked the way he used his wife Ffion (Paid Barclay’s Bank Advisor) to save their favourite bank. William Hague has requested that we do not name him as their previous ‘personal contact’. How is Inchcock Today we asked him? Well it was another frustrating dream filled night; I know they were horrible but cannot recall any of them. Up at 0315hrs, the Inch proud and painful again did me ablutions and came down for the cream for little ‘Inch’, started the laptop and made a cuppa. I think the laptop is closer to its end now – it kept freezing and I had to restart three times. I checked the emails, just in case it went altogether. Delivery this morning, then I’ll get ready to go and visit Sister Jane and Pete. It’s cold again this morning. Did some facebooking and a bit on this diary. Coreldraw9 let me create some graphics so I got as many as I could do, before it gave up the ghost. Got things ready to take for Jane and Pete, and set off for the bus. Too cold to walk today, well at the moment it is. I might get a walk in on the way back. Caught the bus into town and went to catch the second one to West Bridgford. The bus before pulled off and I was the only one at the bus-stop – not for long mind, soon there were about 15 others in the queue. Well I stay queue? When the number 7 arrived, I nearly got crushed in the rush to board it and got on 16th in line! (Tsk!) Not that it mattered too much but I felt a bit put-upon like. Dropped off and walked to Jane and Pete’s house. Pete was just finishing putting up their fifth CCTV camera. They are having a bit of bother with the next door neighbour. 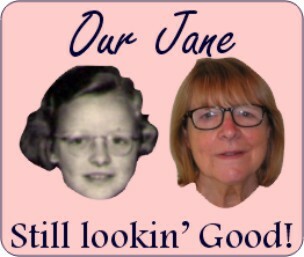 We had a jolly good natter and Jane is to let me know what time next Thursday I can meet her to go to the hospital with her for her medicationalising treatment and x-rays. They started to eat their fine meal (pictured) and I decided I had outstayed my welcome, so shot off. 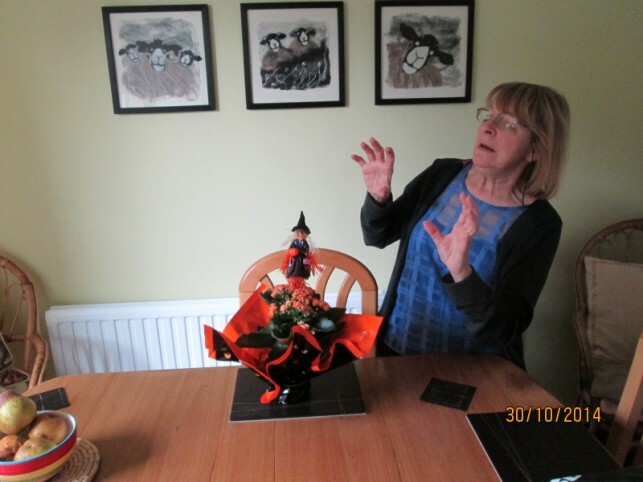 They had made a Halloween doll on a plant of their friend. The prices scared me away. Caught bus to town, called in the Chinese shop to see if they had any plain-cheese seaweed but no. 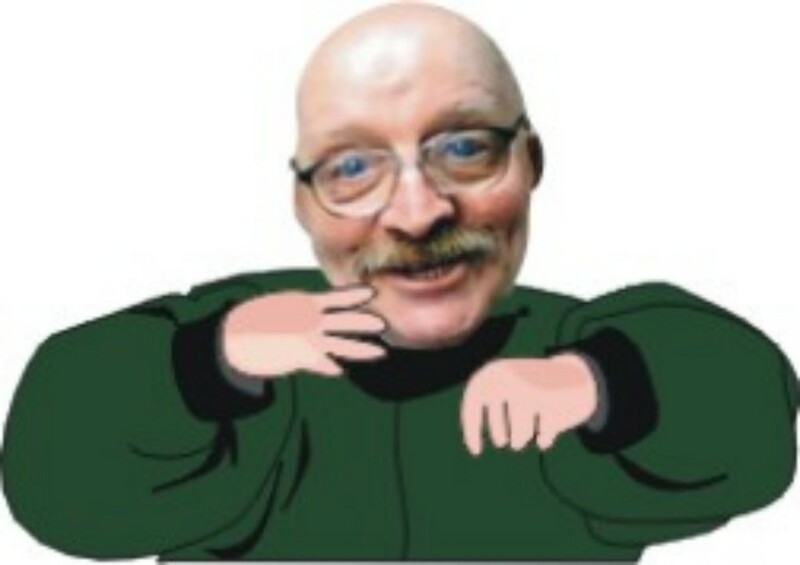 Poddled through town and caught the bus back to Carrington and the flea-pit-supreme. Laptop started, made a cuppa and updated this diary. Knock on door, Police wanting to know if I saw anything suspicious on the street last night at 2230hrs. I told them I was asleep at that time. Nice to have a caller though. I hope this isn’t too exciting for anyone. (Hehehe). Last night’s (Or rather this morning’s) dream seemed to last all the way through. I sprang awake and as soon as I moved myself, a seemingly enlarged and very painful ‘Inch’ caught my attention. Talk about tender and red! Onlt a tad of blood seeping though. I got missen downstairs to the fridge and tended to the almost glowing little but less little than usual mite. I wasn’t sure what to put on him so I cleaned him and stuck with the Daktacort cream again, and within a few minutes the tenderness seemed to start fading. Phew! Down and on the laptop and sipping a cuppa by 0305hrs. Started to write these things down so I didn’t forget later. Couldn’t find me note later when I wanted it. Facebooked, did a bit for me Inchcock blog. Checked emails. The things ere readied for me trip to the launderette, and off I plodded to Mansfield Road. Both girls were on duty today, so I took a photo of them together. When the washing machine had been going for a couple of minutes the chap next to me pointed out that there was a clonking noise coming from it when the washing was going around. Oh dear I thought, what have left in one of me pockets? I checked that the mobile phone was in my pocket and I knew the camera was not in the machine – but what was making the noise? I mentioned it to Mandy and got that well established “Oh the poor old git’s done it again’ look back. But she could not help laughing. When I took out the washing to put it in the dryer a handle each item individually to check for the offending object – and found it in one of me dressing gown pocket – It was my wind-up-torch. Now this might be hard to believe… but it still worked! Then when I was taking out the dry clothes one of the air-balls dropped out and could I find it? I had all the other users searching for it for ages. It transpires it must have rolled as someone was coming in out of the front door. Someone spotted it when they were leaving. What a morning up to now. Tsk! I went in the chemists to see if my 2 months supply of medications were ready and they were. How I managed to limped along with the two big bags of washing and the heavy carrier bag of medication and get home as I did? It took me ages. 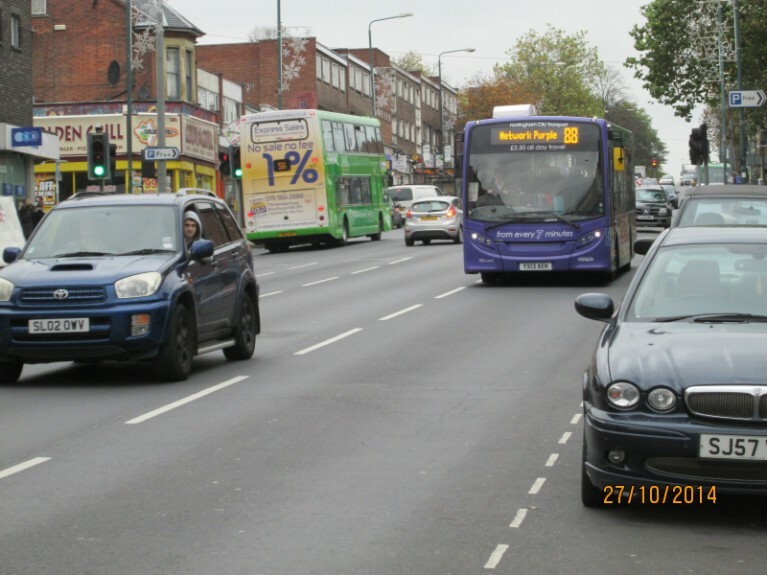 I dropped off the stuff and went out and caught a bus into Bulwell to see if anything was available in the cheapo shop – nothing was. I called in Fulton’s in the vain hope that they had got some microwave sausages in again – they hadn’t. 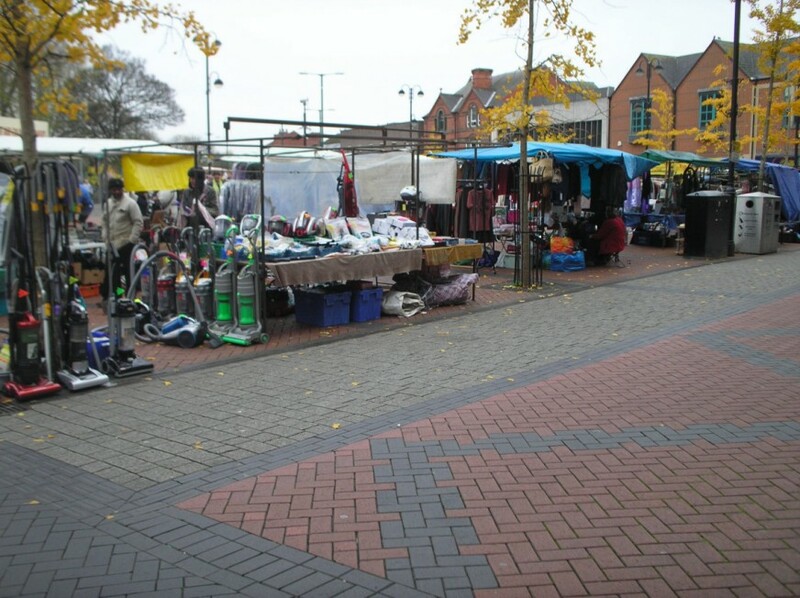 Then walked through the market, deciding because it was so barren folk I’d take a photo of it. But i couldn’t find me camera and realised I’d left it in one of the laundry bags at the flea-pit. I searched the bags I’d got with me and found the old camera, but it indicated the batteries were about dead. I tried taking a photo and after that they did die. I’ve nit downloaded it yet, but I hope it came out alright. What a day! I ent in Iceland to get some of their Bread thins at £1, but they had gone off offer to £1.29 so I got some wheatmeal cobs on offer at 89p instead, along with some iced lollies. Then hobbled to Heron frozen food shop and got some different iced lollies and a 5 pack of Raspberry ripple mousse. I limped to the bus stop and as the bus came in and i got ready to board it, the handle on one of me bags broke and me stuff was scattered all over the floor. By the time I got it sorted the bus had gone out. Caught the next one and got back to the depressing dungeon. Put me nosh away, WC, laptop on, made a cuppa tea and updated this hogwash. Read a bit of me new book. I’m suddenly feeling low now, confused and worried. Don’t know why? Now here’s a word you don’t hear often: Having a sad or solemn countenance. No charge! Dream filled night of which I can recall very little. Sprang wide awake at 0300hrs. Checked the stinging little ‘Inch’, no blood at all, but inflamed again and tender. Got myself downstairs, washed pots made a cuppa and started the laptop. Took medications. An idea came from somewhere for a rhyme about how badly depressed I felt this morning, I decided to see if i could manage to make it applicable then try and get it written down to put on my Inchcock website. Had good wash and sanitisation session. Got the things ready for the Nottingham Hospice Charity shop in the bag, updated this and set off on my walk… must remember to catch a bus to town afterwards so I can pick up me book from the library. Might go and feed the ducks if I have time as well. Added some bird seed in me bag, and set off on me walk into Sherwood to the Nottingham Hospice shop. On my way I espied that the Computer shop was open and I called in to see about buying a boosted laptop. But he was on his own serving a customer and another one waiting. So I decided to leave until another day. Left me stuff with the Hospice shop and caught a bus into town. 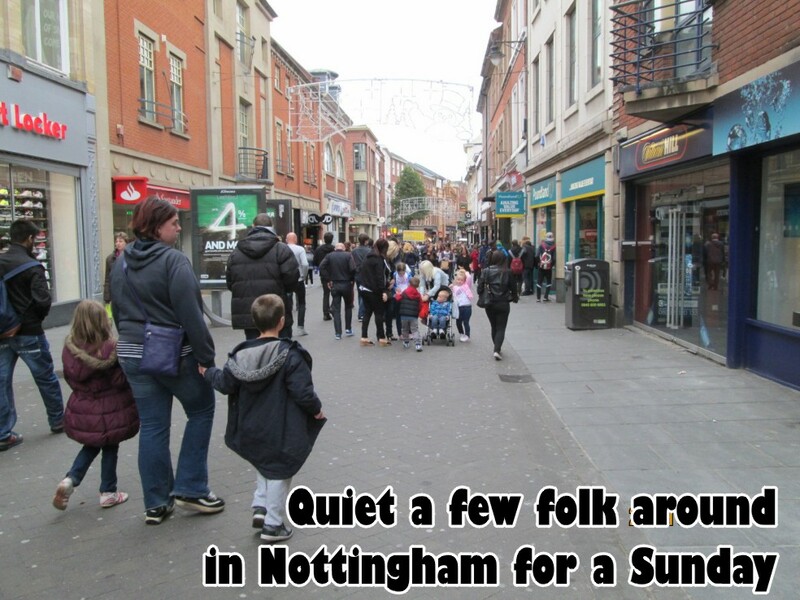 I wobbled through the city centre with its aggressive crowds. 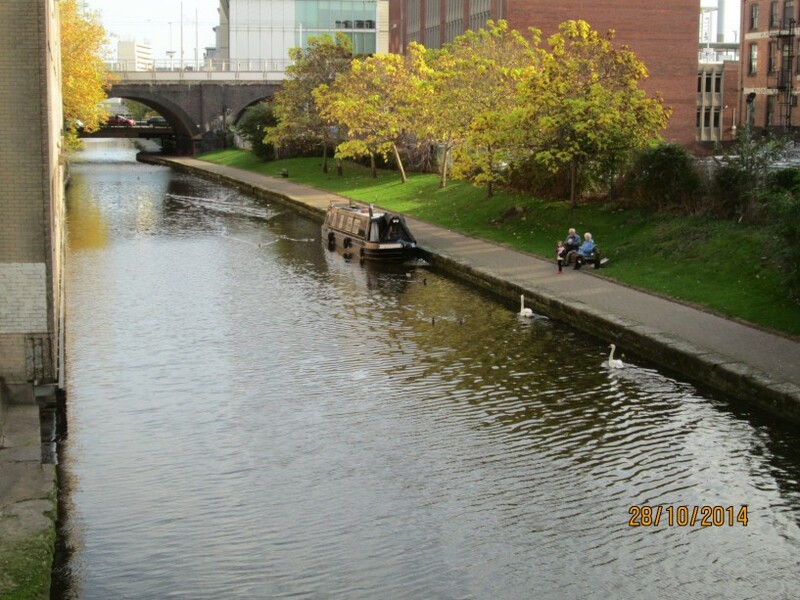 I took a photo of the west side of the canal from the bridge. Two swans apparently investigating if the man and woman sat on the bench were going to feed them. They were well out of luck. Then over the road and down the path to where the dunks were loitering yesterday, taking a photo of a docked barge on the way. 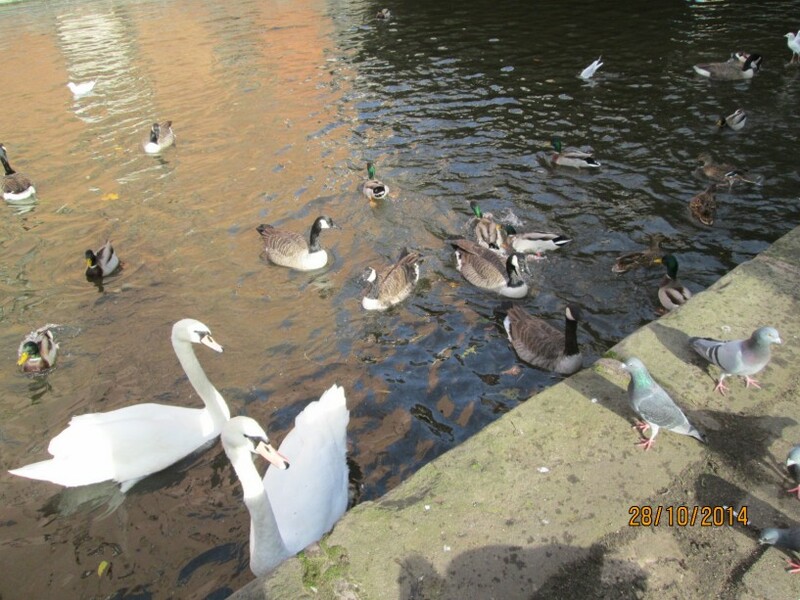 The frenetic water fowls came en masse, fighting each other for the food. Like yesterday the pigeons joined in and got some bird seed from me for their troubles. A lady with her daughter in a pram seemed amazed at the sight. I looked up at the bridge, and I’d got an audience of sight seers (Is that how you spell it?) too! Some taking photos of me? As I walked back up the path I took a picture of the lady and her daughter walking away from the barge. It seems that feeding the birds there is now illegal and I risk an on the spot £60 fine? I explained that I had not seen any notices. He explained that they had been vandalised and removed: And that is why he was not giving me an on the spot fine? He seemed a little understanding though and I cringed and offered my humble apologies as I scurried off. No wonder people were taking my picture, they’d not seen anyone do it for years. Better find somewhere else in future. 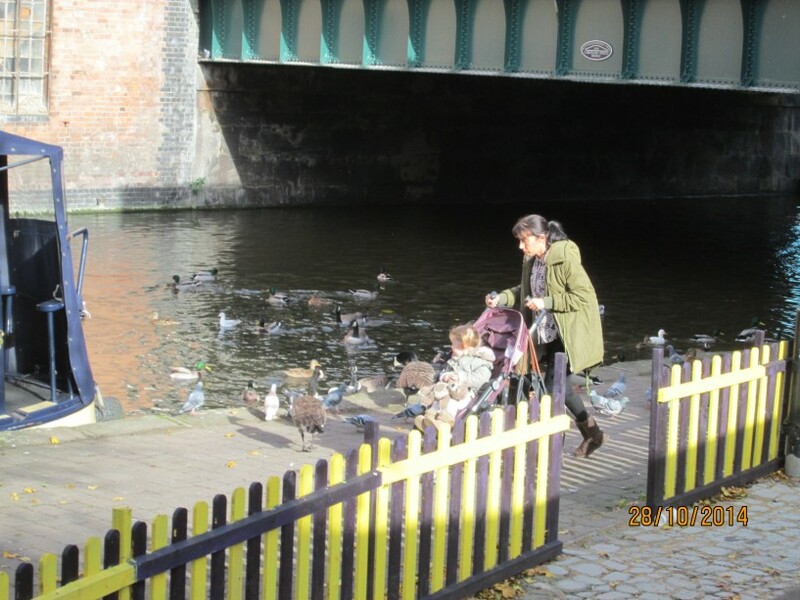 Might have to start going to Derby to feed their ducks in future perhaps? The knees and feet were bad now as I walked through town to the main library to collect the book I’d ordered that Sandra Lentz had recommended me to read. I was a tad amazed that I remembered to be honest. I got in and walked the crippling stairs up to floor three ‘Biography’s’ to collect it. The chap said they keep ordered books on the Ground Floor for collection. I must have bad because he pointed out where the lift was for me to go back down. 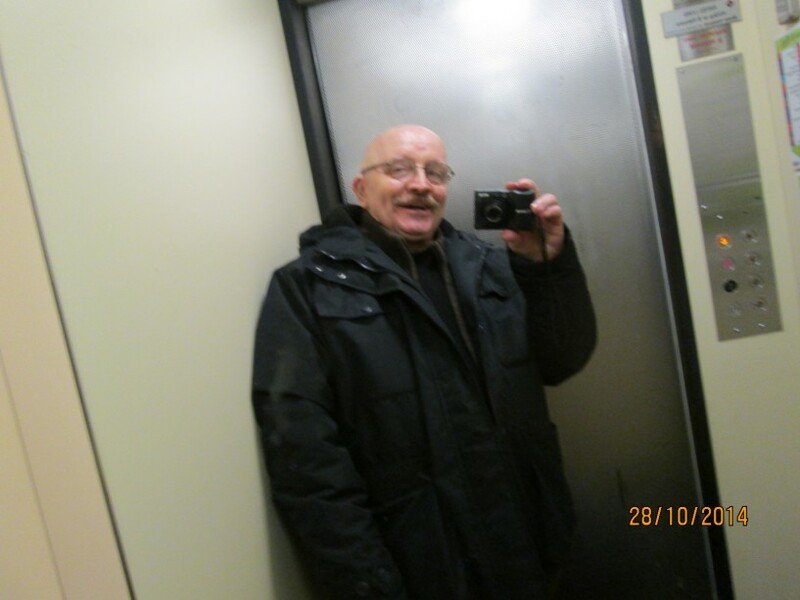 There was a mirror in the lift (Elevator for our American readers) and I took a photo of my smiling but weary self. I collected the book, paid me 50p charge and walked up to Parliament Street to catch the bus back to Carrington. Back to the flea-pit WC. Then updated this tosh. 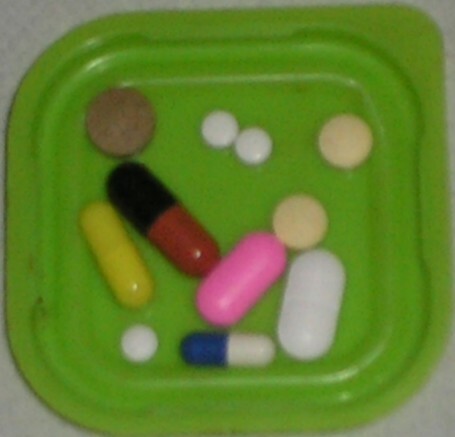 Took me medications then microwaved me nosh. The fight to live with it is most certainly unpleasant. The nagging guilt, that I just cannot manage to improve. But withdraw into myself, waiting for hope manifest or flit. But still I like to help others if I can, that’s some concession. I’d love to be free of the fears the guilt and vexation. It never stops reminding and nagging at me about these things. They are a fact, but depression is an unwanted mystery to me. For a while then, this depression I don’t give a mind. Is there a mental aspect linked with this thing? Some days I feel like I could actually sing! Reading what others create and are coping. Can I buy a brain remould? I woke at around 0230hrs, read a bit of me book and managed to nod off again while doing so. Unusual that! Sprang awake again at 0315hrs and remembered it is my day for posting to the League of Mental Men site. So I had to gerrup smartish to get em done and posted because I really must get to the Queens Medical hospital for me tests early as I can to avoid the crush and rush of last Monday when I went latish. Laptop seemed to working okay this morning, slow but working and after a bit of kerfuffle Coreldraw let me in. So I did my weekly diary first cause that is the longest. Got carried away with it and realised I was late go out early for the bus to town as it was drizzling. I ran (Ran, did I say ran? Slight exaggeration there methinks) up to do me prettifying and tend to the bleeding ‘Inch’. Made sure I’d got the stuff for the Hospice shop, bus-pass camera etc. Limped rapidly, (that’s more the wording!) to the bus stop. Felt such a fool when I tried to get on and use me bus-pass Tsk! The driver pointed out that I was too early to use it! Confused a mite I got off the bus somewhat red-faced. I then realised I had in fact yesterday not put me wall clock that fell off the wall back an hour! 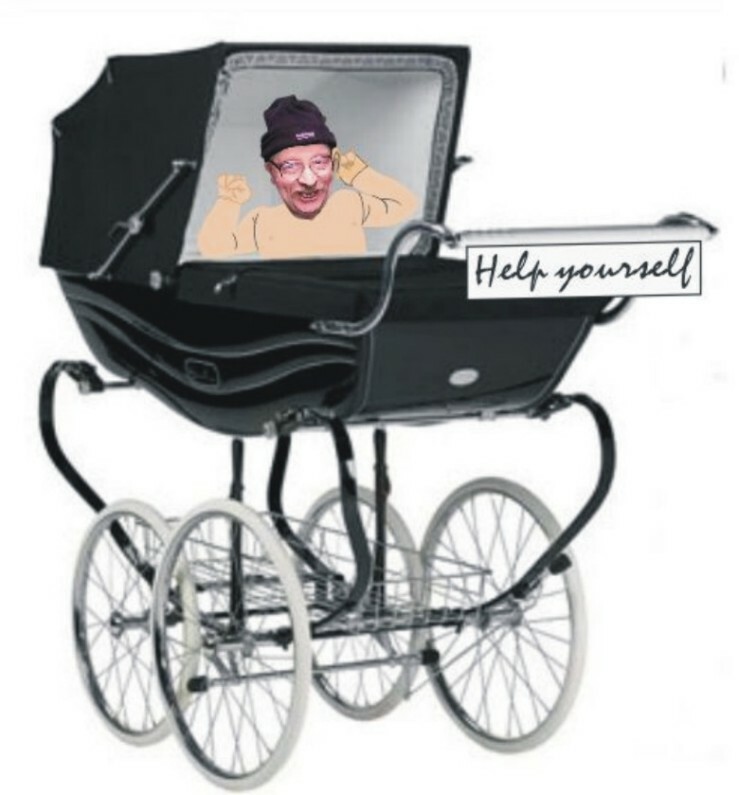 Hey-ho. 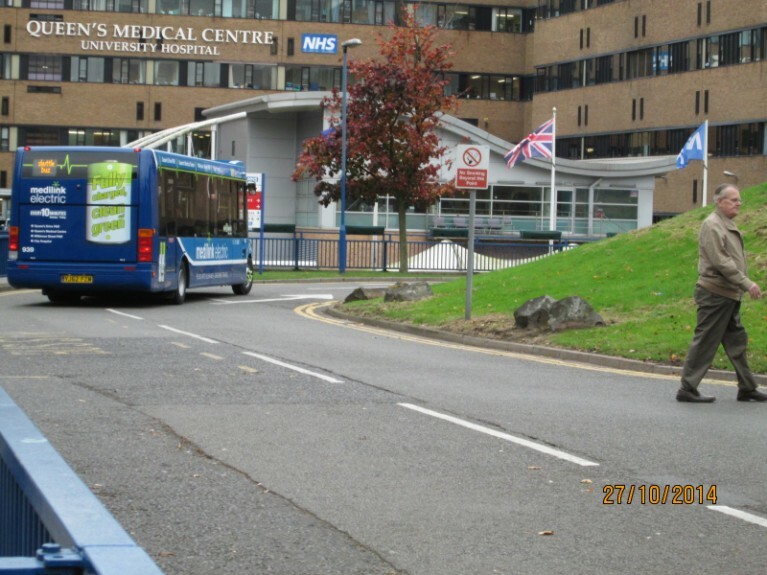 Limped rapidly as I could into town and caught a bus to the Queens Medical Centre where I noticed they had hoisted a new English and NHS flag at the entrance to the premises from the Derby Road entrance. and a bloke must have been suicidal as he looked at more than the traffic? I wonder just what the inimitable rapacious predatory David Cameron would have to say about that folks. I hobbled into the waiting area, well full it were, took a ticket and waited me turn like a good little boy should. When I got in there was a trainee nurse who asked if she could do me. Well, the answers that came to mind had to stopped from coming out in me voice like if yer know worra mean. I said “Yes please” but she was so nervous she didn’t catch me innuendo. She decided to take the scenic route into me vein bless her. I left the nurses their nibbles said me farewells and went off to catch a bus back to town – not as easy as it sounds as it turned out. When the first one arrived, i picked me bags up and the handle on one parted company with the rest of the bag. 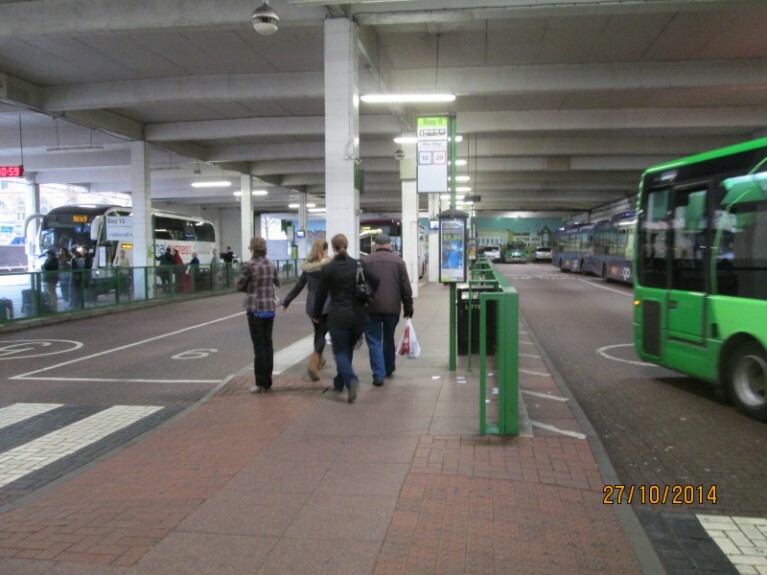 By the time I’d sorted it out the bus was long gone. The next one which I didn’t want pulled up, and the one that came behind that one, which I did want drove straight passed it. The third one pulled up a little far down the road, and I only just limped to it in time! 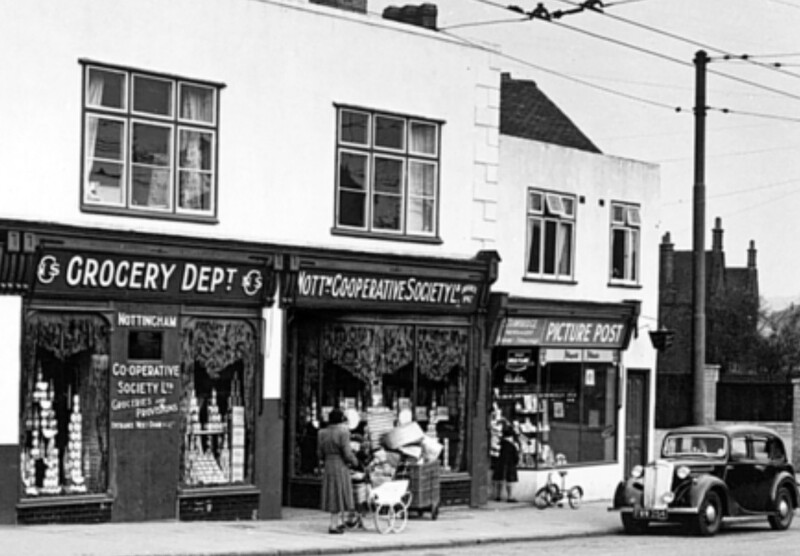 It dropped us off at Broad Marsh Centre, where I had hopped to get a couple of ready meals, but Heron had nowt in I fancied, but I foolishly bought some iced suckers, that by the time I got home was liquid. (Wotta clot I am). Then I meandered on me limping way through the Centre and espied a DVD shop lurking in the mall. (Fatal for me bank account that!). I had a look and found the new New Tricks DVD was in so decided to treat missen again – when I reached into me back pocket for the £20 note, which is what the DVD cost to pay em – I realised I’d left that £2o note in the bathroom when I changed trousers. Good job I’d got me cash card with me… or was it? 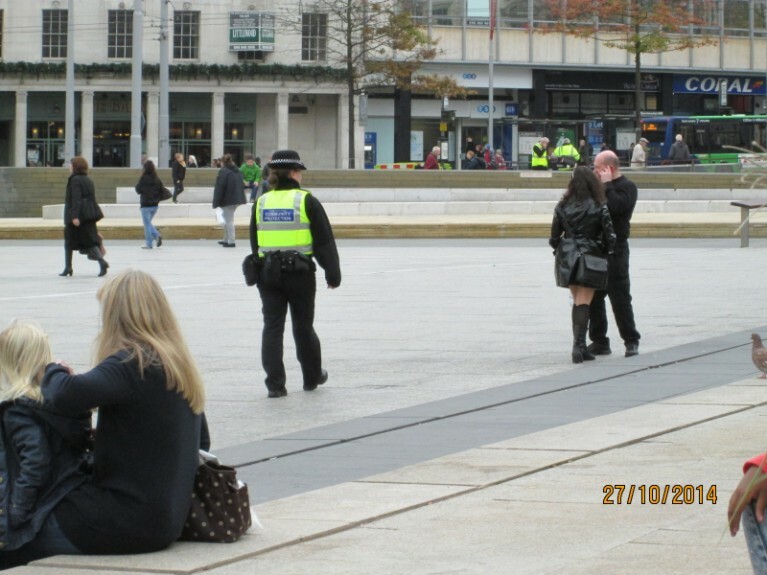 I was about to take a photo of some pigeons in the slab square and a female community officer came into view and she was staggering about a bit – drunk, drugged or in trouble I thought – better go and ask her if she’s alright… but another CPO arrived before I could get to her. So I left em to it like. Plodded on a bit more towards the bus stop in the City centre and failed to resist going in the pound Shop to get a few extra bits for the Nottingham Hospice Charity shop to add to the bits in me bag. 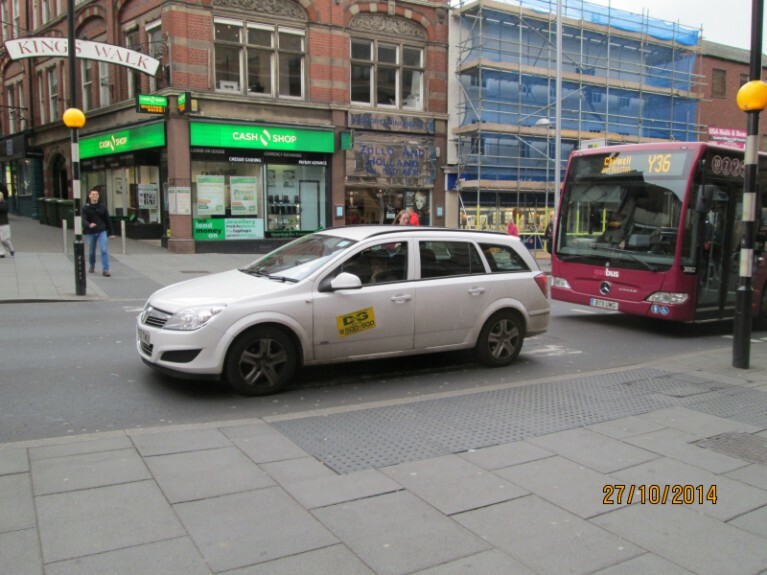 As I got to the top of Kings Street the traffic was at a standstill, with a Private Hire car parked right across the pedestrian crossing. I didn’t say, the driver had a beard a scowling expression on his face and looked like a big un to me. Being a natural born coward I walked on and caught the bus to Sherwood. Dropped off and left me stuff for em. As I was walking back to Carrington (painfully) I spotted the alcoholic mobility scooter driver belting over road at the traffic light. By the time I’d got me camera out they had long gone on their journey to the pub, bless em. Poddled back to the crumbling shack, urgent visit to the WC. Laptop started, cuppa made, medications taken, ‘Inch’ tended to and updated this non-fascinating load of… oh someone at the door. No hearing aids in, I think they were Jehovah Witnesses. I see plenty of them lately all around town in groups waving their pamphlets. Ah well, I’ll post this then have a quick flurry on the web, facebook check me emails and get summat to eat. Oh I forgot, Sister Jane got in touch, she’s got to have some x-rays, I emailed her and said if it was not on Monday or Tuesday I can go with her like, keep her pecker up a bit. She’s not keen on hospitals bless her cotton socks. I forgot to say in yesterdays dairy: I phoned Jane my sister to remind her to change the clocks. I’m such a caring person you know… really I’d forgot it they go back or forward! She said don’t forget to change your TV, DVD, Cooker, and central heating. Being as I have none of these things in me dilapidated house it didn’t really apply to me. Hehe! 0245hrs: I sprang awake again, aware of a horrendous stinging from the little ‘Inch! I investigated to find no bleeding apart from a miniscule drop – but flipping ‘eck it shone light torch, talk about tender! I must try to get to the G.U.M.clinic again if things don’t improve soon. 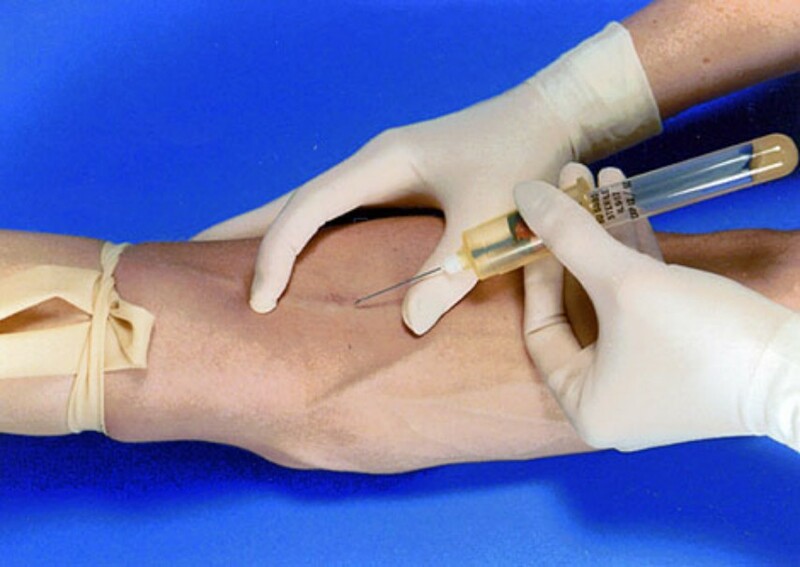 Monday is my INR level tests at the QMC, the GP appointment and my day to post for the LOMM site. 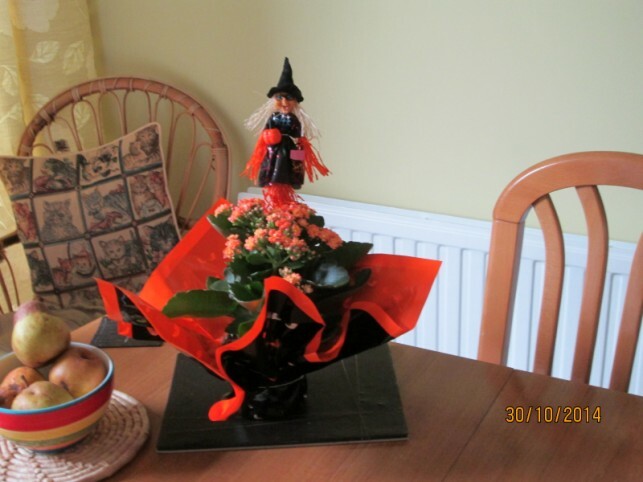 Oh, and me Morrisons delivery. 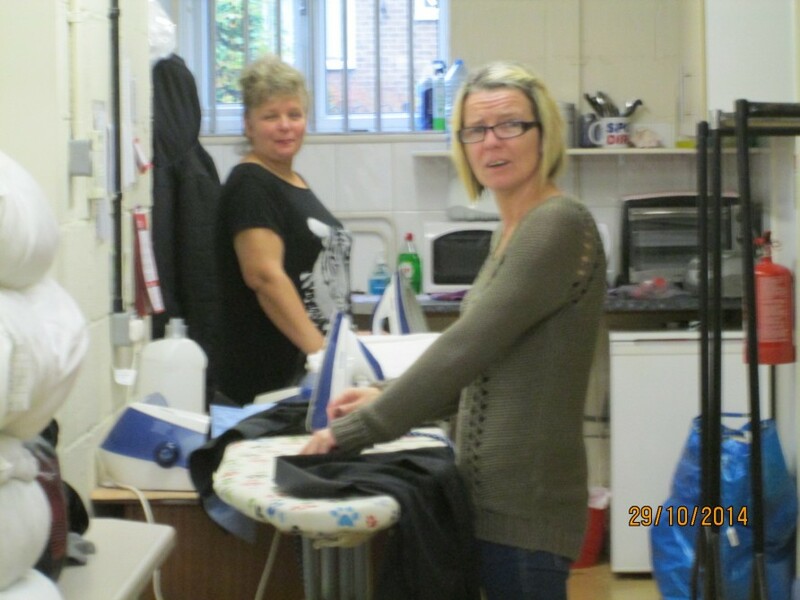 Tuesday is laundry, library and Nottingham Hospice day. Busy int I? Not really. Laid there trying to get back to sleep but gave up and came down at 0430hrs. Laptop started cuppa and medications imbibed. Damned cold again this morning, put a scarf and hat on. Brrr! 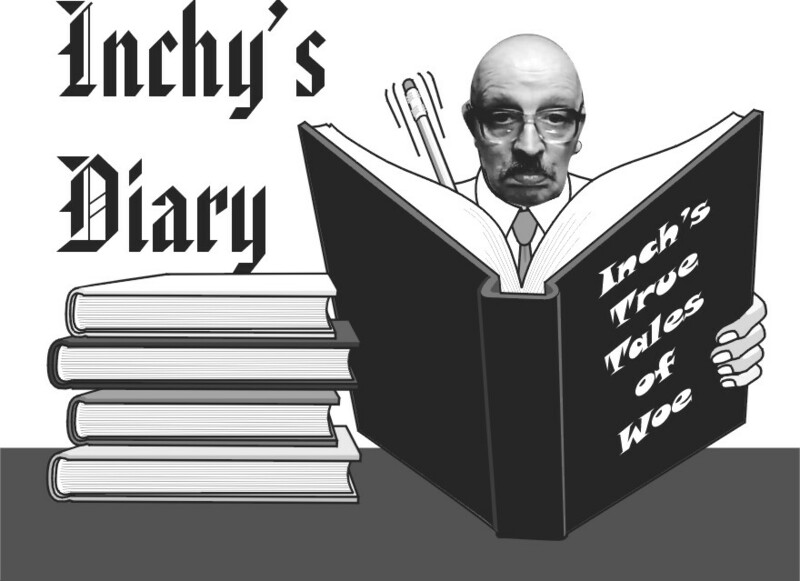 Finished yesterdays diary and got it posted – Coreldraw still not right at all, had to reboot and restart a few times. 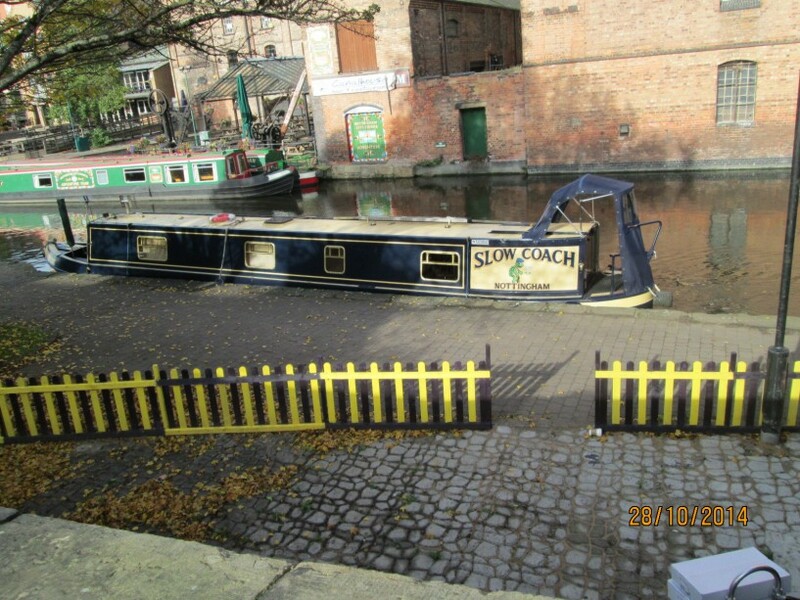 Thought I might get out today and get some photos taken, might go down and along the canal to get some? 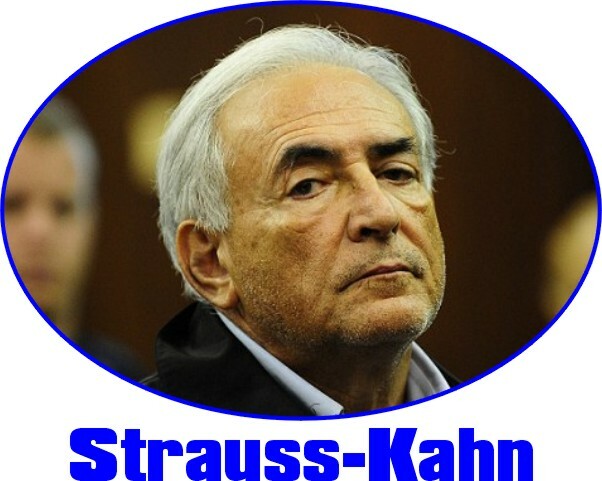 Did some Facebooking, cause I like to keep up with the wonderful folk on TFZ (Troll Free Zone). So disappointed I can’t do any graphics proper for them until I sort out Coreldraw… if I ever do? I’m not surprised the cakes were about 2.5 inches in circumference and 2 inches deep, and the cheapest was£2 each! Still bloomin’ cold, I’ll have to dress up warm when I go out to do me photograhising later. Managed to get one new graphic done for a gal on TFZ. Not me best, but under the circumstance with Coreldraw it won’t too bad. I received a call from a cyber-pal Lynton. It was very nice to talk to him, and not too bad for hearing him either on the mobile. Must have cost him a fortune, but very much appreciated. Went up and beautified missen. Inch not bleeding at the moment, knees and hands okay, angina a bit bothersome, haemorrhoids not bad at all. Looking good up to now. Set off on me walk into town. Took me about 35 minutes. A good few folk in town for a Sunday. I dropped in the Pound shop and got some bird seed. 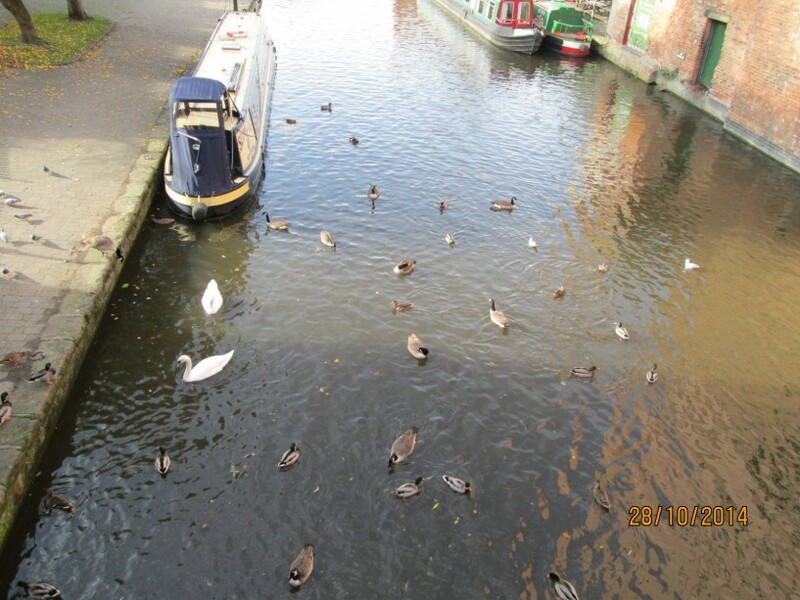 Then walked through town calling in Tesco for some cheapo bread for the ducks. 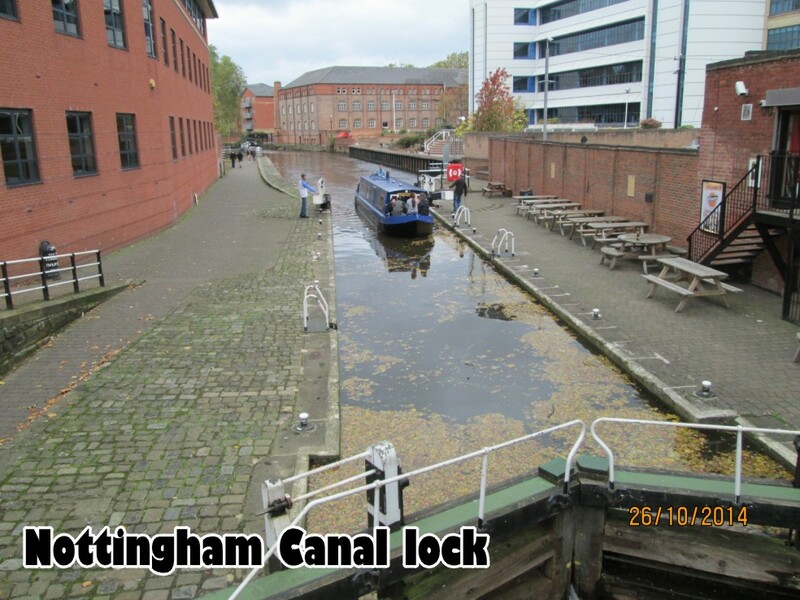 Then down to the Nottingham canal. I found the part I wanted to photograph was occupied by six drunken youths enjoying themselves being offensive. So I moved on like. 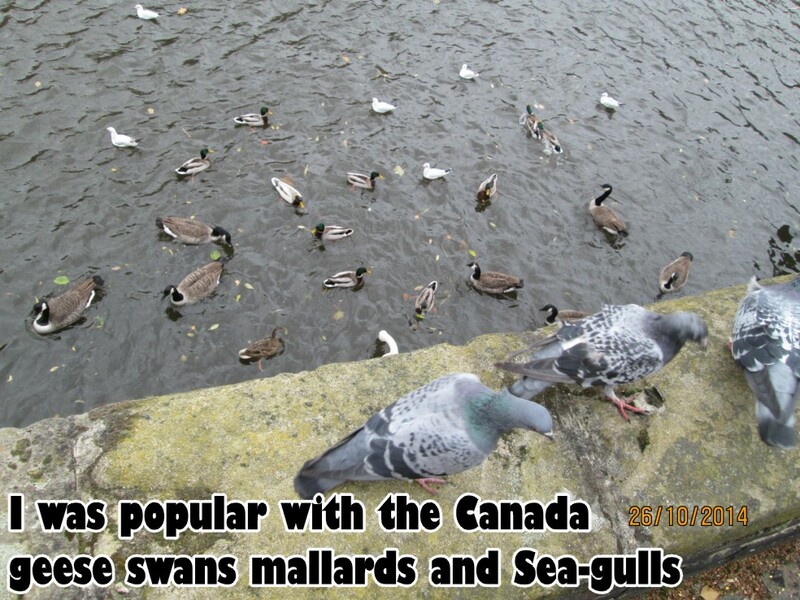 When I found a spot well away from them I fedded the water birds and pigeons at the same spot. Buy gum I was popular. 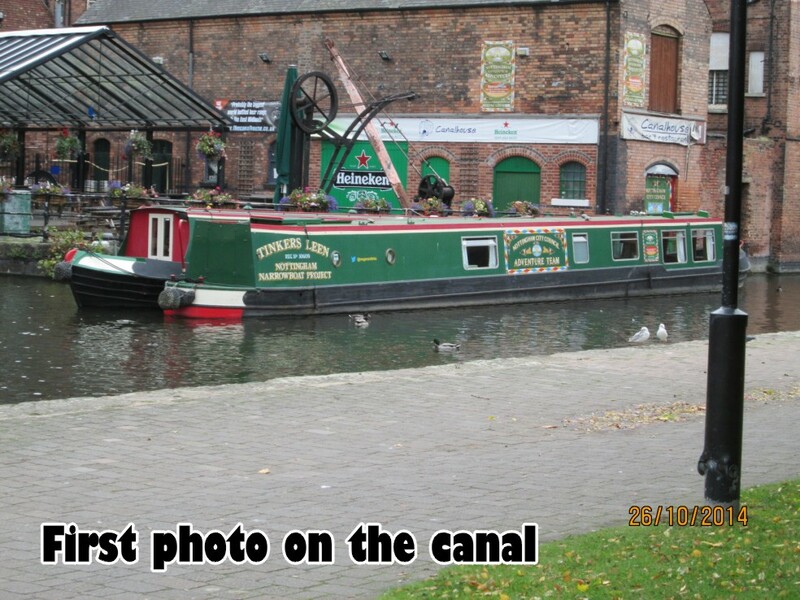 I hobbled (aching feet by now) down to the lock and took a photo of a barge going through it. Then I walked back and through Broad Marsh centre coming out near another pound shop in town. And being as I got carried away feeding the pigeons I purchased another bag of seed. 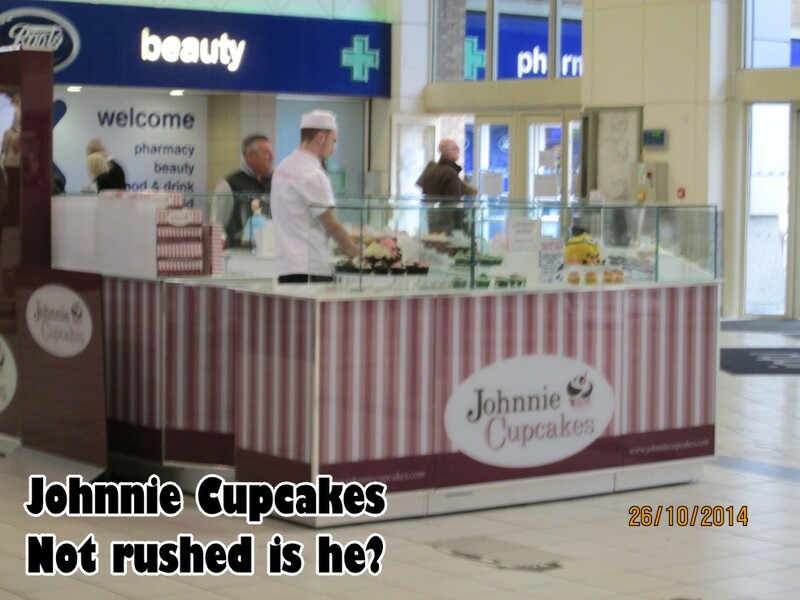 As I went through the centre I noticed the Johnnie Cupcake concession stand did not have a customer go near it. I’m not in the least bit surprised at those prices! £3 for a tiny cup cake! Then up King Street wit the intention of catching a bus back to Carrington. The queues were rather large and a long waiting time because it were Sunday like yer see? So I foolishly walked back home… the knees started and oh me flippin’ feet. 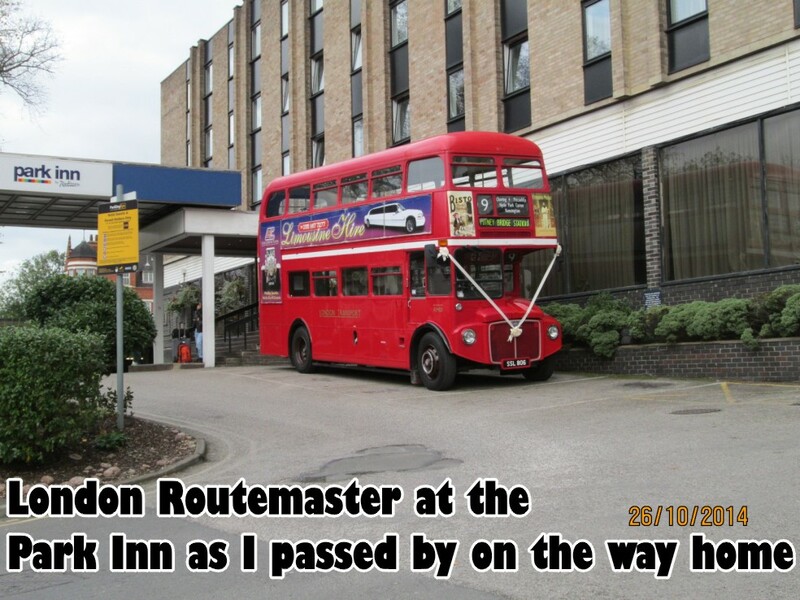 I’m glad I did though because as I walked passed the Park Inn there was a London Routemaster bus parked outside. You don’t see many of them around here. I was reminded of when Central TV used the Park Inn, it was called something else then, to use it in making an episode in series two of Auf Wiedersehen Pet. No idea why it brought it to mind, but I might dig out their DVDs and have decker later… if I can find them… oh dear, surely I didn’t take them to the Nottingham Hospice Charity shop? 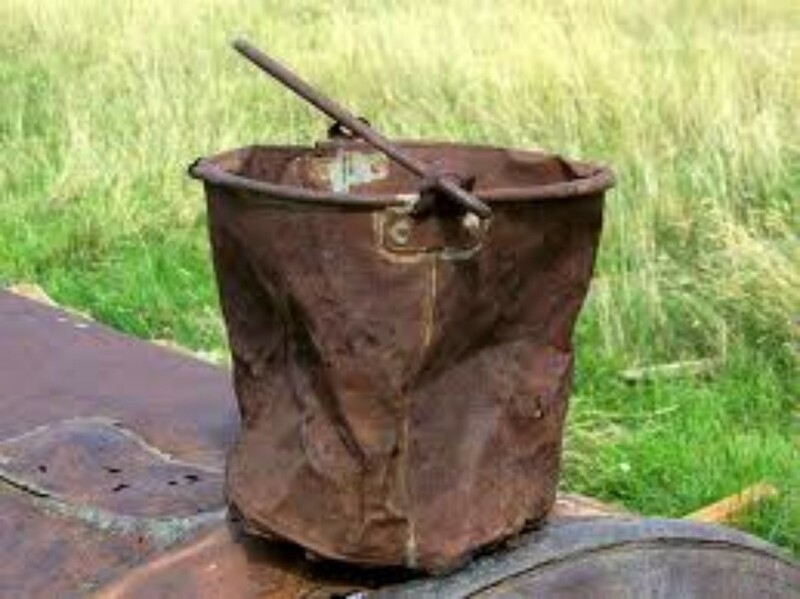 Got in the flea-pit, WC, kettle on downloaded the photo’s and updated this diary. 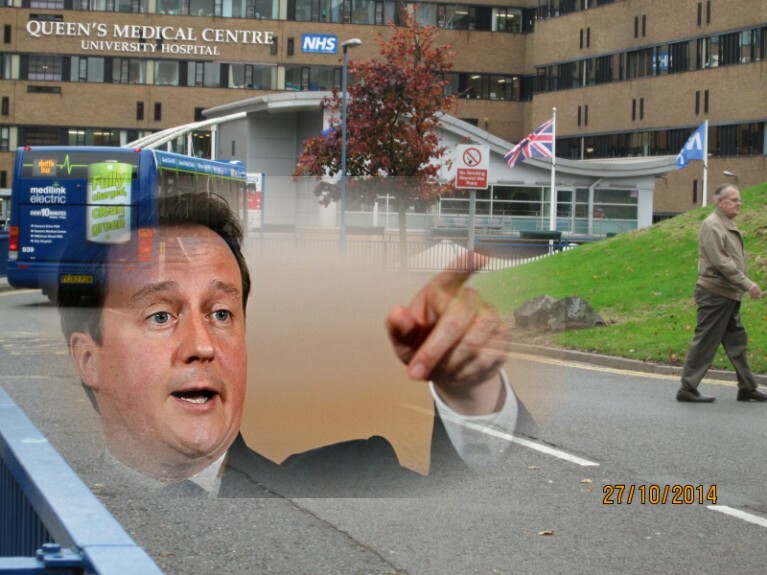 Hospital tomorrow… well it pleases the nurses to see me yer know – alright I was fibbing! Sadly depressed at his not being able to use Coreldraw9 properly and that this morning his little ‘Inch’ has started bleeding again. I sprang awake about 0100hrs, WC’d and remembered part of a dream I’d had. I was desperately chasing some people (No idea who) and just could not catch them. This seemed to go on for ages, I’m not sure but think the people kept changing into other people when I got close to them so had to chase a different one? 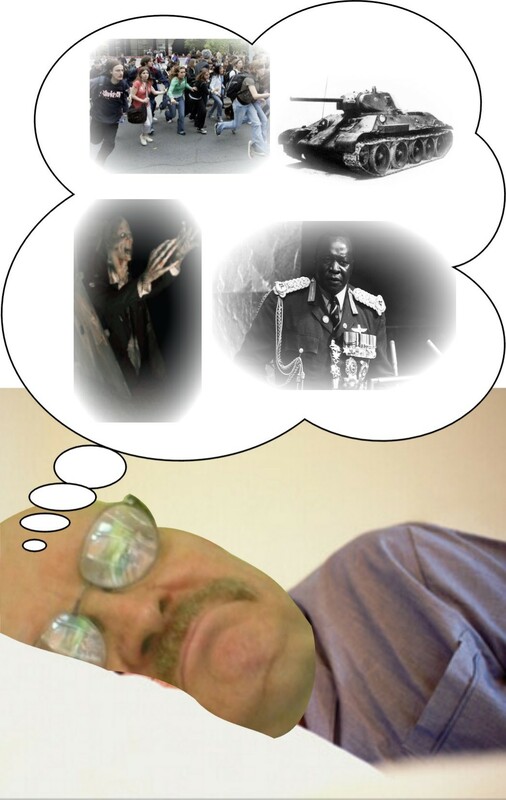 Next minute I was being crushed to death by a Russian T34 tank – then a nurse was trying to pull me out of a coffin shouting that I’d took the wrong tablets, Morrison’s had sold out of seaweed and not to forget I was being executed by Idi Amin on Sunday? Down to the fridge and got the Daktakort cream out of the fridge, back up and washed the ‘Inch’ and applied the cream – it is bleeding again this morning. Tsk! Started the laptop (that I’d left on all night) made a cuppa and took my morning medications. WC during which I discovered my haemorrhoids were bleeding too! Huh! Decided not to go out today, just stay in and potter on the web and mope about. The ‘Inch’ is still dribbling bits of blood? Oh dear! Put some extra Daktacort Cream from the fridge on him. But an hour later I could feel the warm wet sensation and was bleeding was much as it ever was last week – Oh dear, summat else to worry about – I’m fed-up! Coreldraw being corrupted (Not as bad as the UK politicians yet), sometimes it will open sometimes not, it always tells me to close it and restart which I have to do then it decided if it will start on its own accord. Sometimes it lets me work-on, but it never allows me to save any page or do anything complicated like Vignette Shadow or cropping. It freezes at will, often needing an forcing close-down – then the laptop takes an hour at least to go through the palaver to restart. Tsk! I’m having to use stuff I did earlier graphicalisation-wise. Still, it will often let me import photo’s from my camera and images from the web… but am I bothered? – Yes! Had a massive nosh before I got me head down. Lamb casserole and cocktail sausages followed by ice-cream lolly and cheesey curls. Surprised I wasn’t sick. Yer can tell I’m a tad depressed. Then the ‘Inch’ bled a bit, but far less than earlier. Arthritis, piles, ulcer and Angina have not been too bad today. Tonight I dropped me nights tablet pot and could not find the Warfarin tablets anywhere? Came down to get another pot and found I’d left the laptop on again? Is it doing it on its own? It was a hell of a job to get it to close down. He ran away from home at six years of age – gone for six hours, got scared and returned to a good belting. Not for running away that was encouraged, but for getting caught and the police bringing him back and waking up all the neighbours. Not that the belting upset him, it was the fact that no one had missed him that hurt. He’s been told of, and some he can remember. 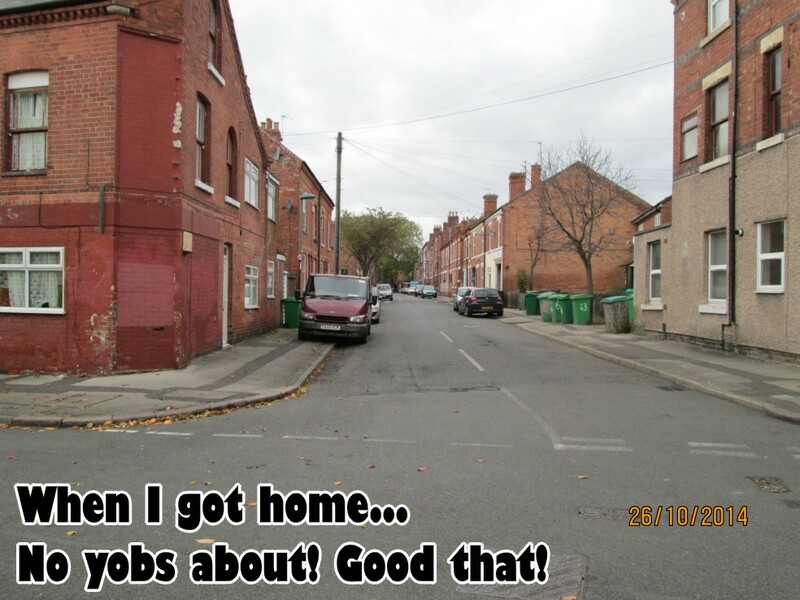 The wash-house, the Bingo stalls, the Cinema, the Chip shop, and the relatives houses are just some of the places she left him to return later to collect him, or usuallt someone would take him back home. The one he remembers with clarity was a day trip to Mablethorpe and she left him in an arcade and caught the train home. Give her credit though, she did remember when the train got into Lincoln and she informed the police. Who sent a PC to collect him and scare him to death giving him a lift in a black maria to Lincoln to be rejoined with his mother who wanted to know immediately if he’s won anything on the machines. Young Inchcock believes he still holds the record for any boxer at the Meadows Old Boys Club – he lost every bout and never got beyond the second round. He definitely holds the record as their goalkeeper, albeit as stand in when they played Corpus Christie School in a cup match. He still insists that the third of the thirteen goals they scored was not his fault. 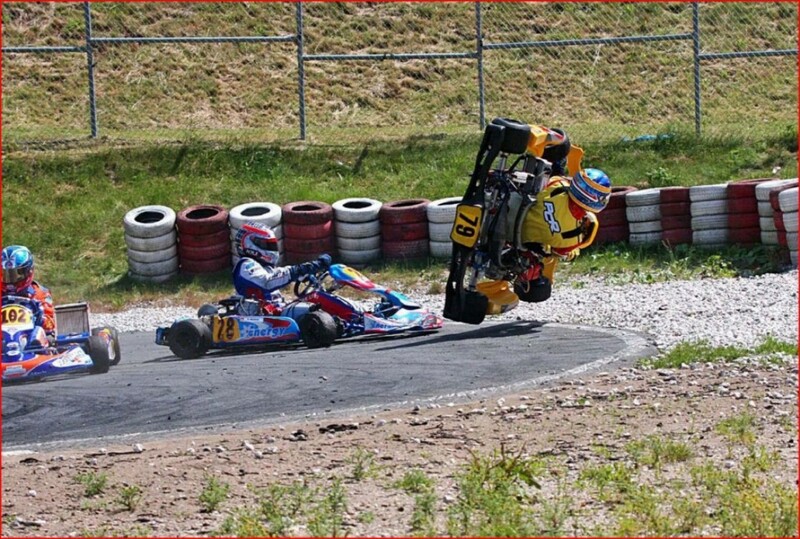 He was the first person to tip over a Go-Kart at the new amenity in Skegness. Perhaps one of his best records and least challenged by others was his trip to Mansfield for a job interview by bus. He fell asleep and woke up at Chesterfield, where he had to pay the extra fare of course. 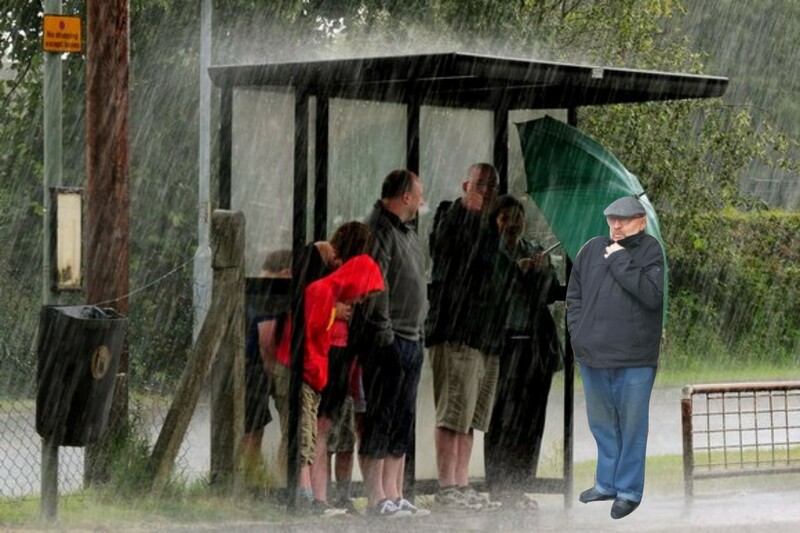 He got soaked in the rain waiting for a bus back to Mansfield. He then fell asleep on that one and got off at Sutton in Ashfield. Again he got soaked waiting for a bus to Mansfield. When he arrived at the interview they told him he’s got the wrong day it should have been the day before! He was the only Security Guard in 1988 to get shot by an intruder. 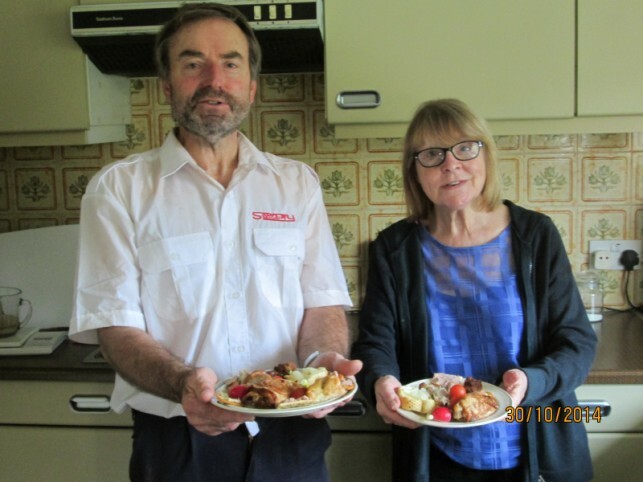 When he went into hospital to have his hernia tended to, they found he had bladder cancer, haemorrhoids and a prostate growth. He still wonders how they found the haemorrhoids problem? 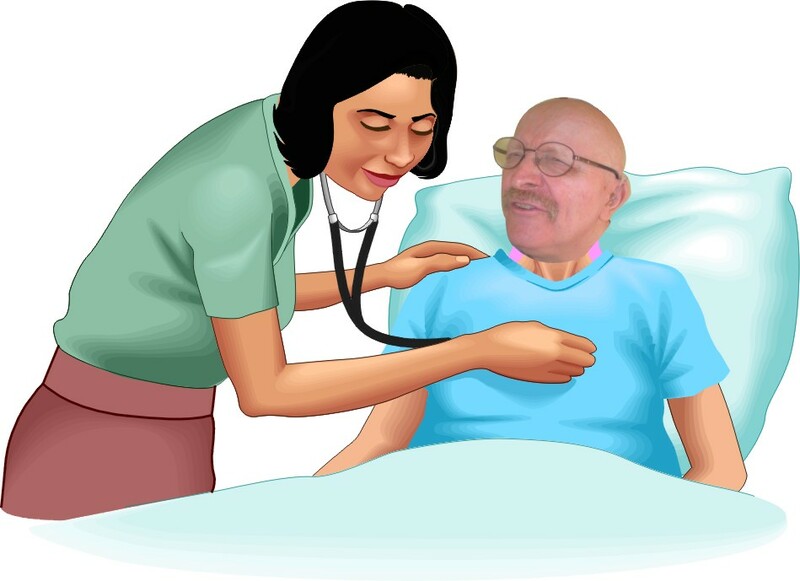 When he went in to have his new mechanical ticker valve done, they told him he’s be in for three to four nights. After two nights they told him the bed was needed for an emergency and sent him home. He had to ring his sister and brother in law to give him a lift. Agony! There are probably many more records that he holds, but he only got as far as this when he had to run to the WC and fell up the stairs. The paramedic is with him now. 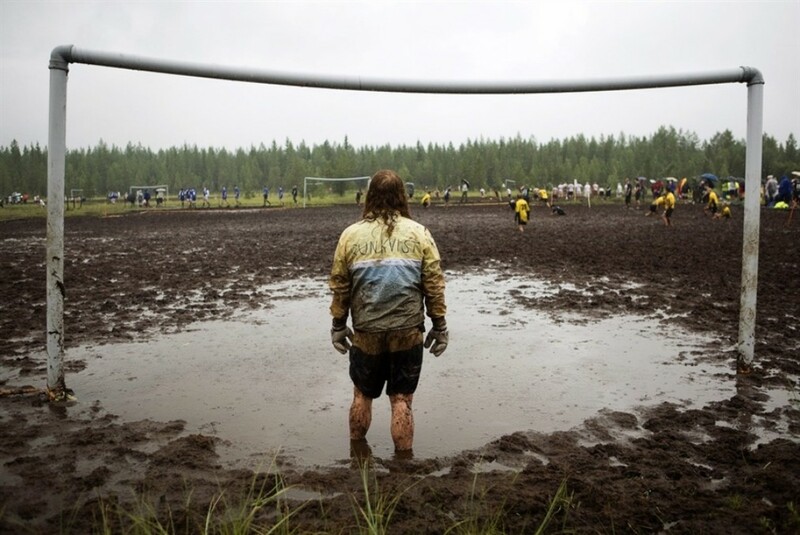 It was on a very heavy muddy wet playing field come pitch, come quagmire on Melbourne Road Park in Nottingham that I made my first (and only) appearance in the Nottingham Thursday Football League, for the Nottingham Co-op Society Butchery Team. It was not a planned appearance – although I had paid my 3/6d (17½p) annual subscriptions to the Nottingham Co-op Butchers Thursday League Team (in those days most food shops used to close half-day on a Thursday) I never really expected to get chosen for the team, and used to go around with my kit in a carrier bag, just in case of emergencies or injuries to any of the other lads. I used to come in handy for making the half time brew, bucket and sponge stand-in, first aider, and general toss-pot/spare prick. That was until a Thursday, in 1961, after about two years of following them, in the hope of ever getting a game like a lamb. (By then I’d given up even taking my kit with me). I recall going around scrounging bits of tackle from all the lads – and what a sight I must have looked! The shin pads must have been made for Godzilla, the black shorts dangled below my knees, it took me five minutes to roll up the sleeves of the black & white striped shirt to my fingertips, and the best they could do to get me a pair of size 8 boots, was a size 10 pair – and they were split down the side, the studs came through to the soles of my feet, they hadn’t been worn for so long, the leather didn’t bend anywhere! We found some old rope to use as boot laces. And there I was, feeling proud and chuffed, but looking stupid, ready for my surprise début in Nottingham’s Thursday League! Was the world ready for this I thought! The bad luck started as I ran out of the locker-room (I say locker room! it was the groundsman’s old tool shed really) I tripped over the step, causing the nails in the studs to dig into me foot – but that pain soon disappeared when I landed face down (I still had to carry the bucket of water and sponge to the touch line you see, they insisted) banging me head on the rusty bucket, then as I was just getting over the embarrassment of my and the opposition’s team’s inane laughter at me, I became aware through the onset of pain in me left leg, that a mongrel dog was chewing on it! Apart from the fact that these boots are softer, cleaner, have laces in and are a different colour, they are like the ones wot I wore! Back to the changing room (tool shed) to clean myself up a bit, stop the bleeding, and put some cardboard between my feet and the rigid leather stud-nails intruding crippling oversized boots! Being the little warrior that I was, I soon returned to commence my chance to impress on the field! 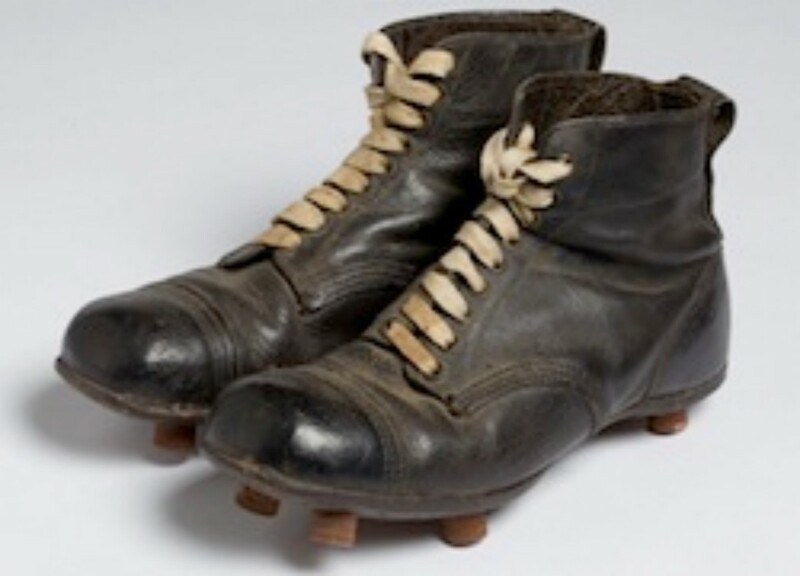 This plan somewhat fell down a few minutes after the referee allowed me onto the quagmire of a field – I was to play at left back, and seconds after taking to the field, trudging through the mud, I managed to lose a boot! This picture reminds me of the day. This did not stop my tackling this 16 stone, shire horse-like hurricane of a Wigfall’s forward who was belting towards goal, with the football looking like a marble at his feet, (God knows how he actually managed to run in that quagmire) from facing one of my best ever crunching tackles. Not that I remember much about it, until the St Johns ambulance man bought me back to consciousness, and bandaged me broken ankle, and stopped me split eye from bleeding, in readiness to take me the hospital. 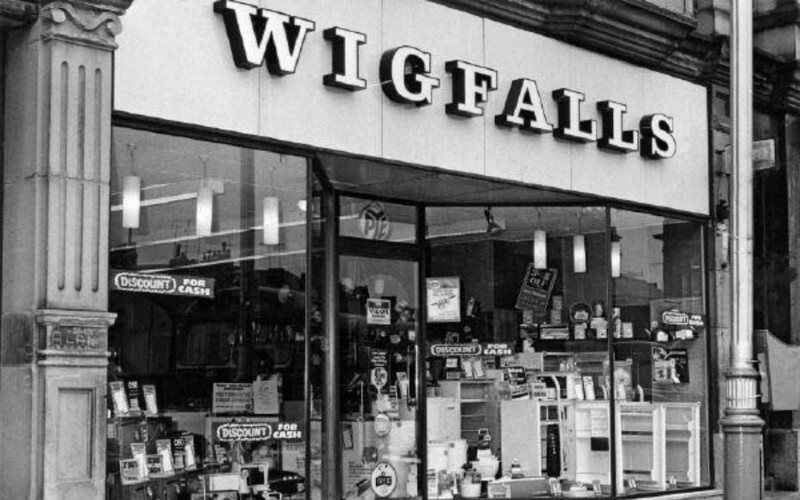 Apparently, they tell me, the wondrous Wigfall’s giant centre-forward had just put out his hands out knocking me over into the mud, trampled over me and scored a goal! I was never asked to play for them again – the team lost four – nil. 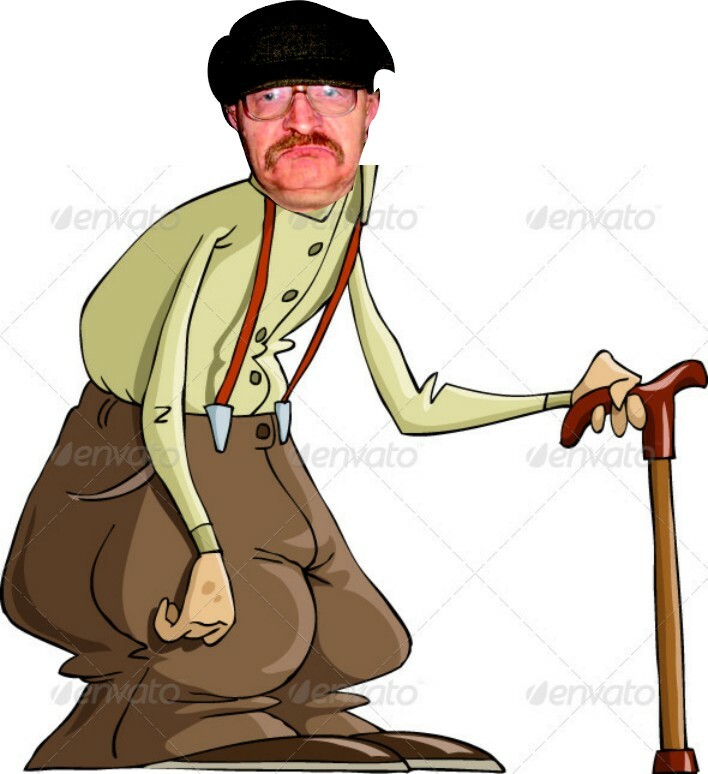 But I was allowed back to carry on (When I got out of hospital) as bucket and sponge man. I think their writing Jonah on the petrol tank of me motorbike was naughty.